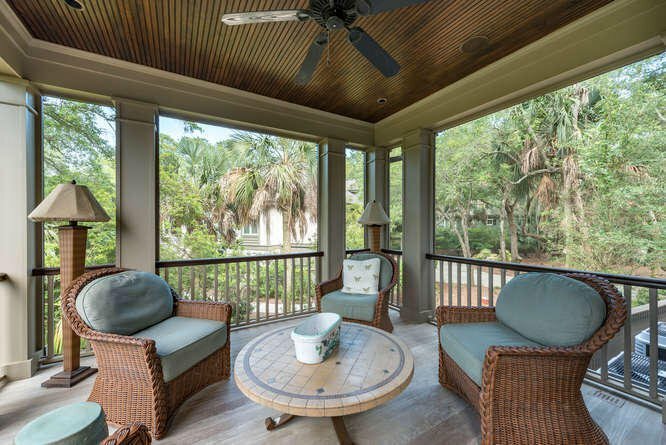 Welcome to 57 Goldenrod Court which combines impeccable quality and details with stunning views and privacy. 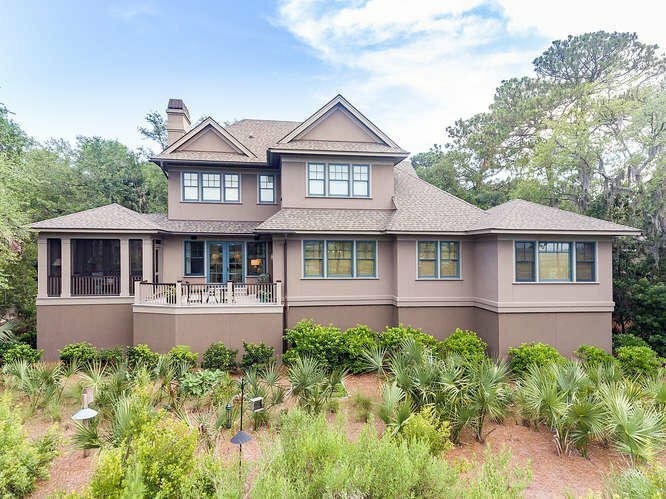 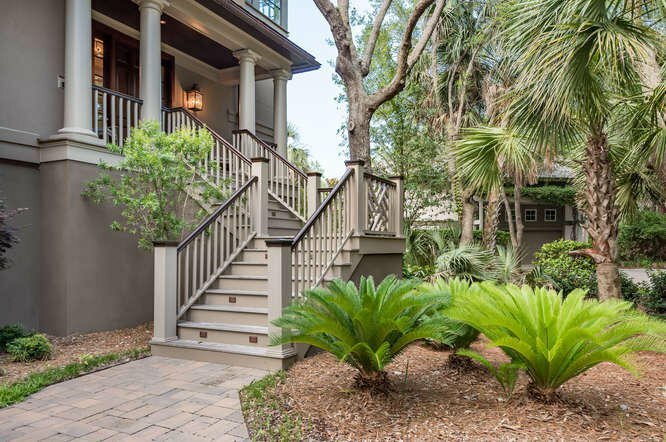 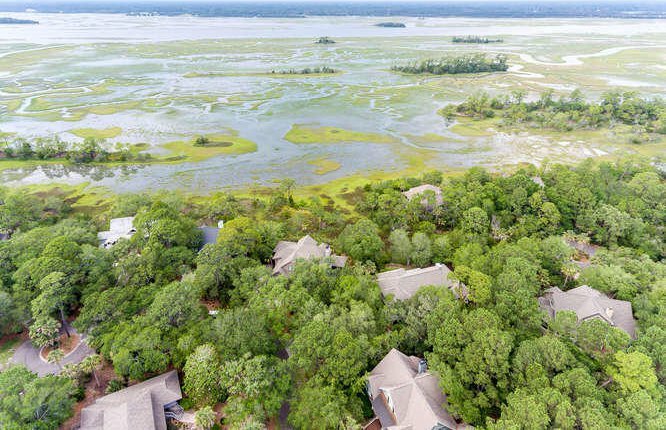 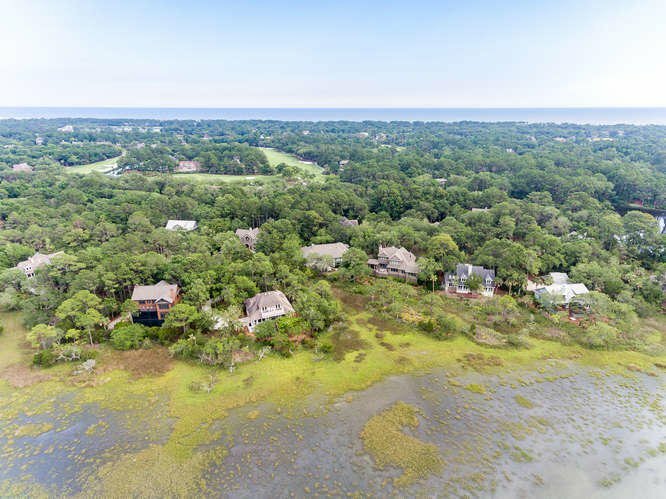 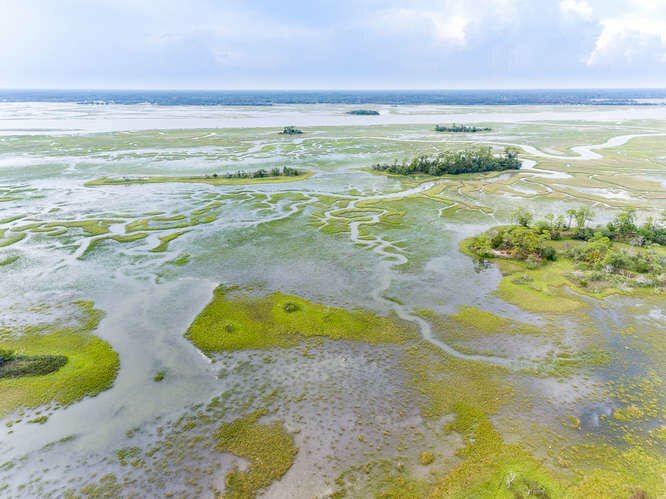 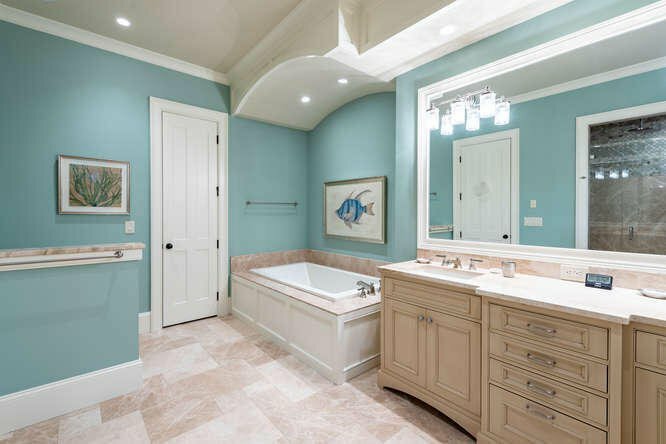 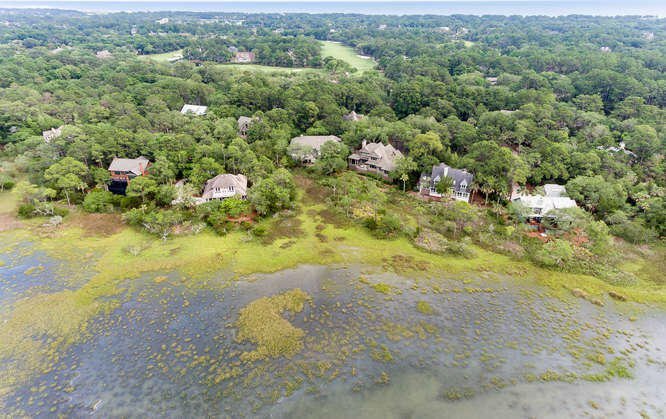 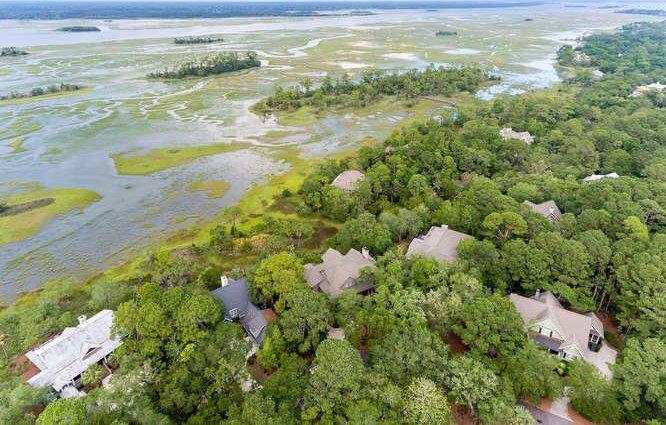 Offering gorgeous views of the tranquil marsh and out to the Kiawah River, this four-bedroom custom masterpiece was built in 2013 and has been exquisitely maintained. 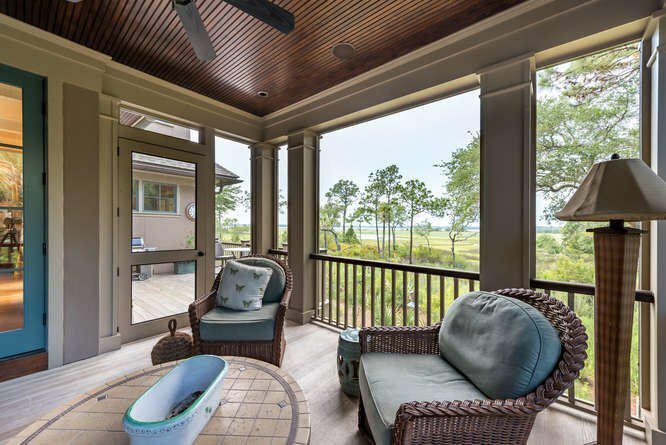 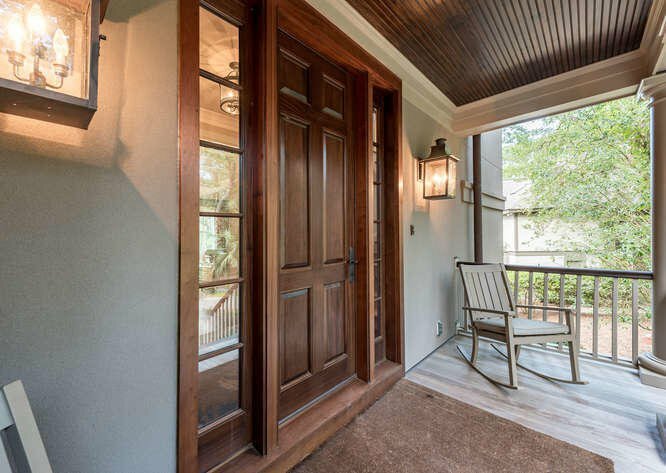 Outside, copper gutters accent the roof line and stained beadboard ceilings can be seen on the screened porch, soffits, and front porch. 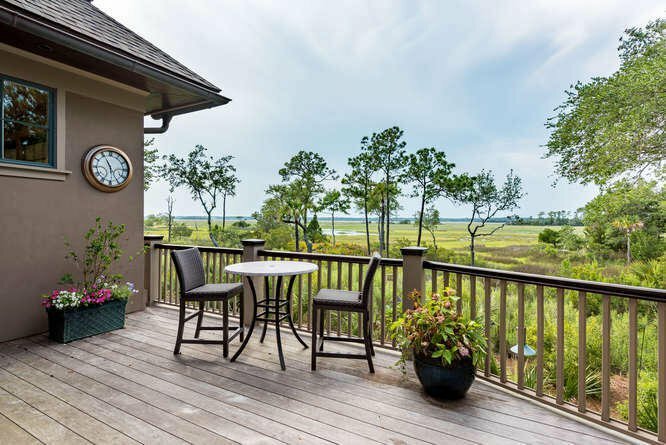 Walking in the front door, you are greeted by an abundance of natural light and drawn in by the wide-open marsh views which are present throughout the property. 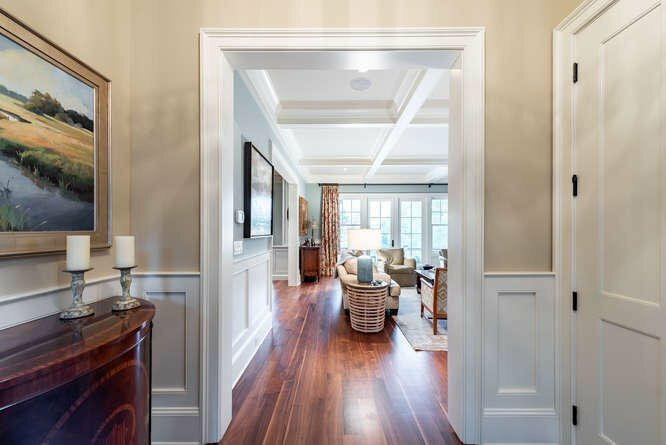 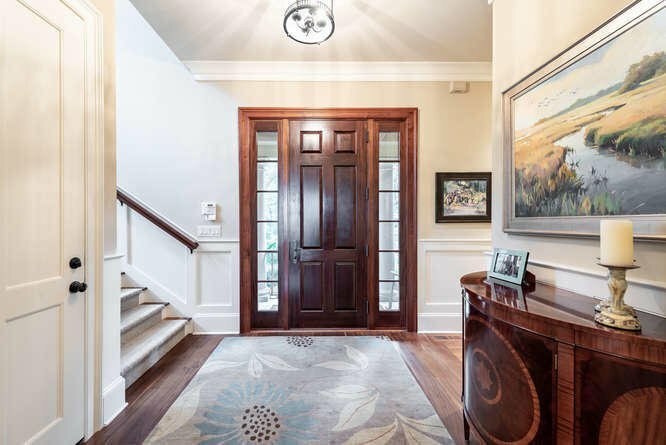 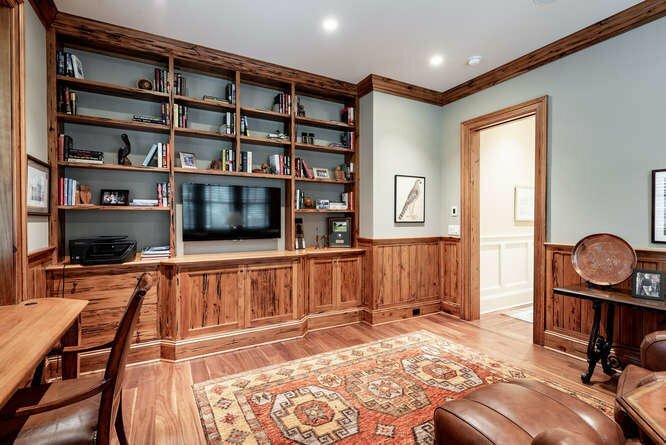 Guiding you through the house are beautiful walnut floors which are highlighted by custom touches and built-ins throughout the house. 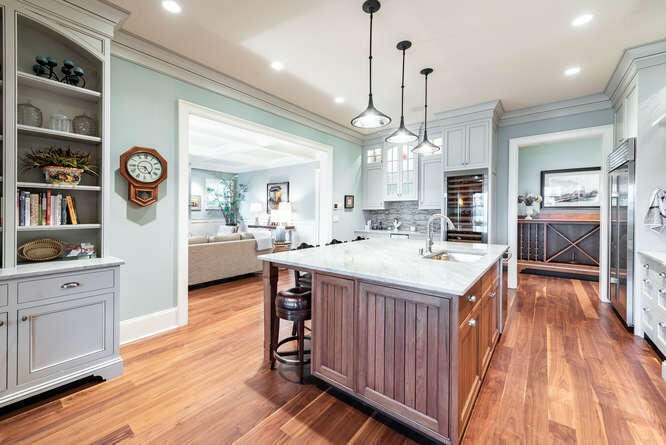 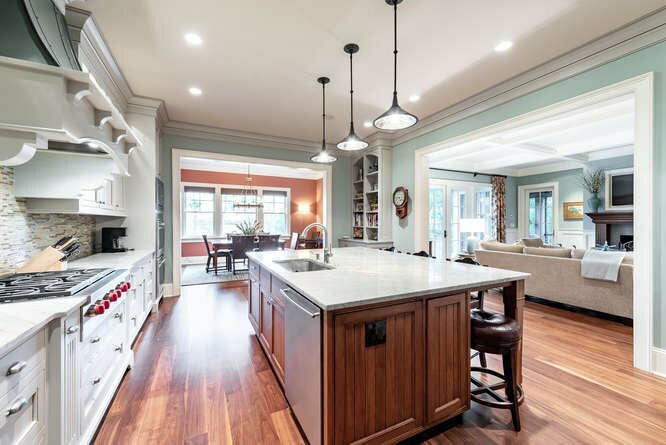 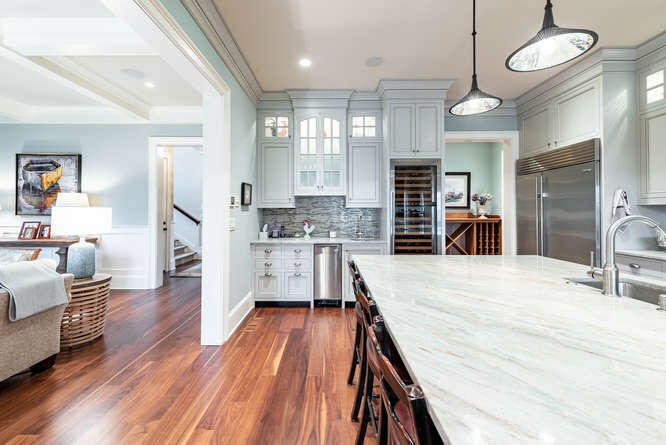 An open floor plan makes this home an entertainer's dream and features plenty of interior space and the bonus of great exterior spaces, perfect for accommodating family and friends. 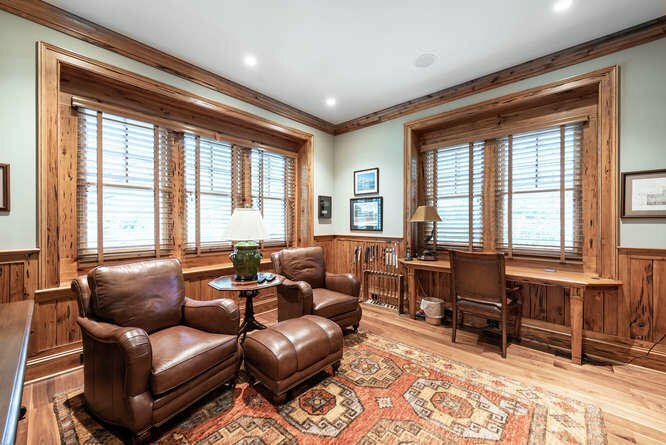 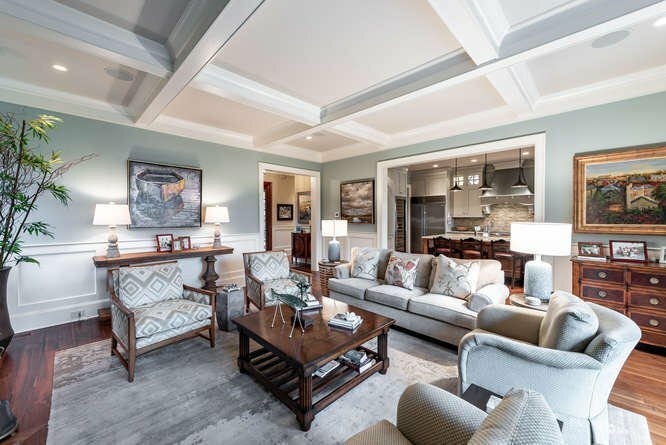 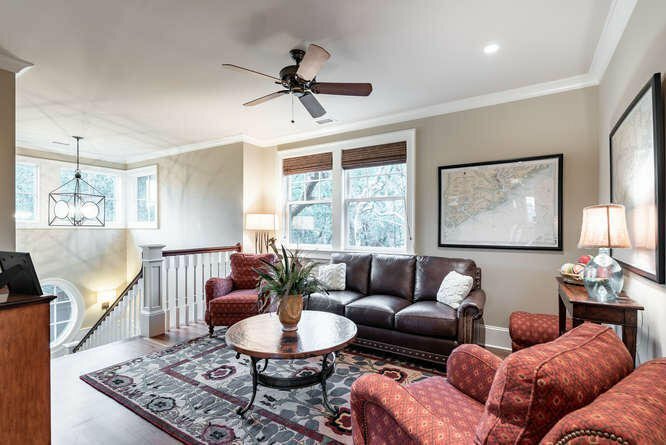 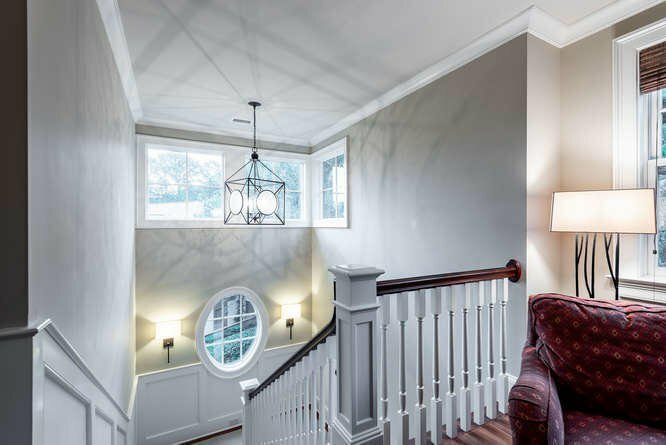 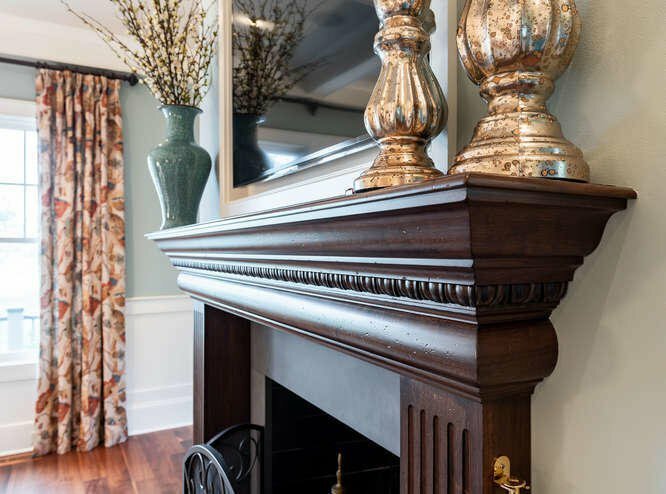 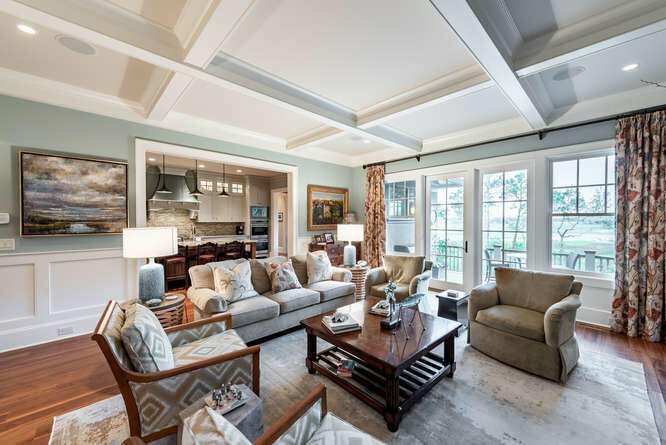 The living area has a beautiful coffered ceiling, wainscoting, a gorgeous dark wood mantel, and easy access to the spacious back deck and screened porch. 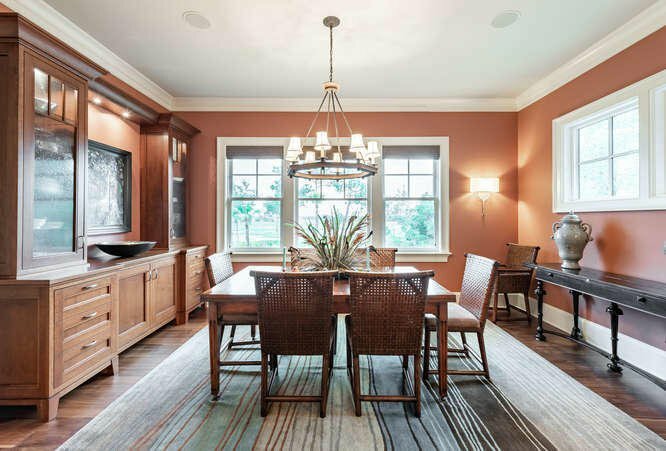 The formal yet inviting dining area flows easily into the kitchen which will amaze even the most accomplished chef. 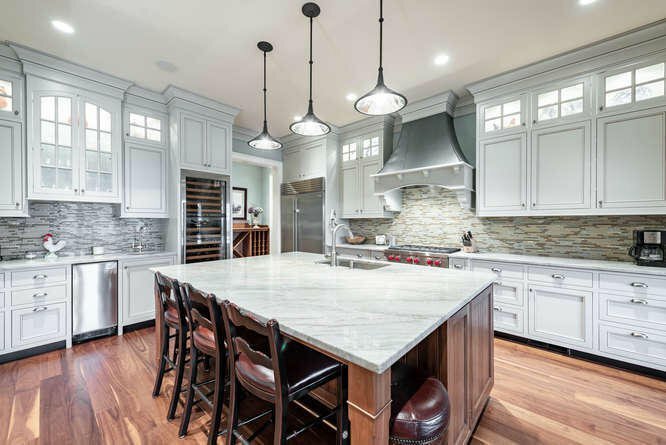 A few kitchen highlights include a 36" gas Wolf cooktop, Wolf double wall oven, Bosch dishwasher, Sub-Zero refrigerator, and wine cooler. 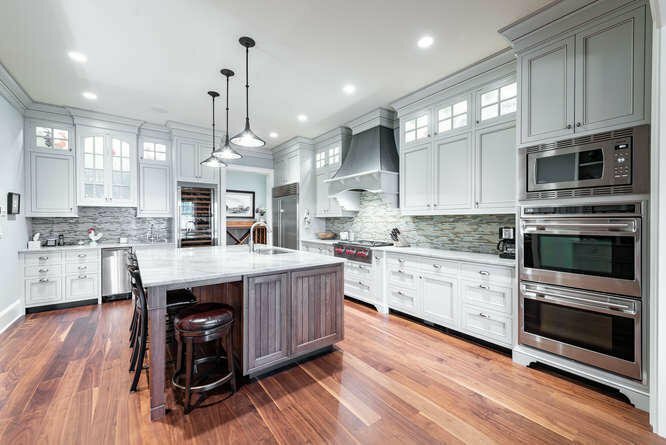 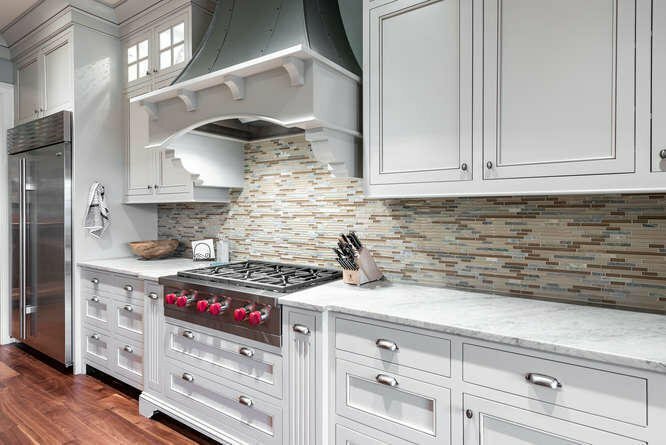 With cool gray and white tones, this is easily one of the prettiest kitchens you've ever seen. 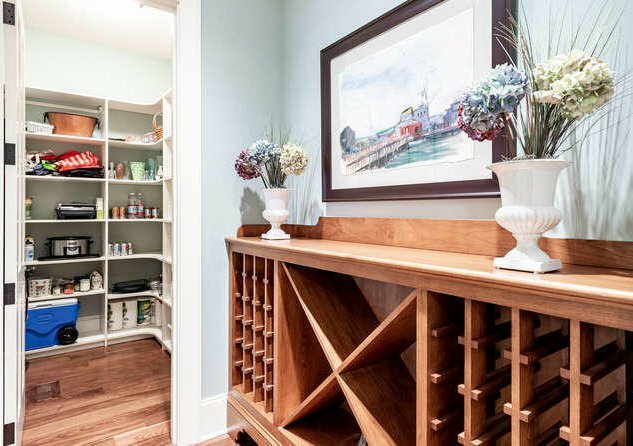 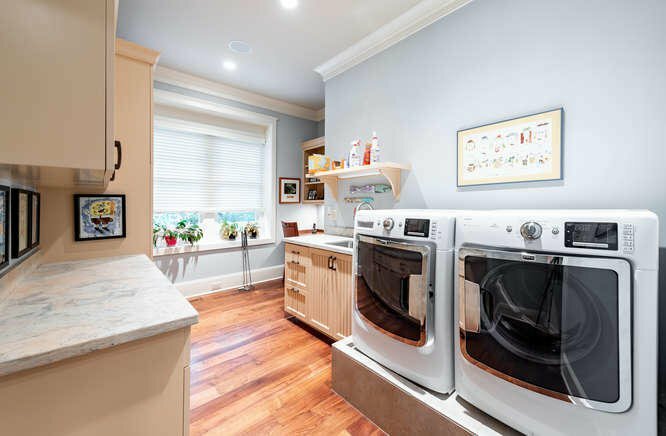 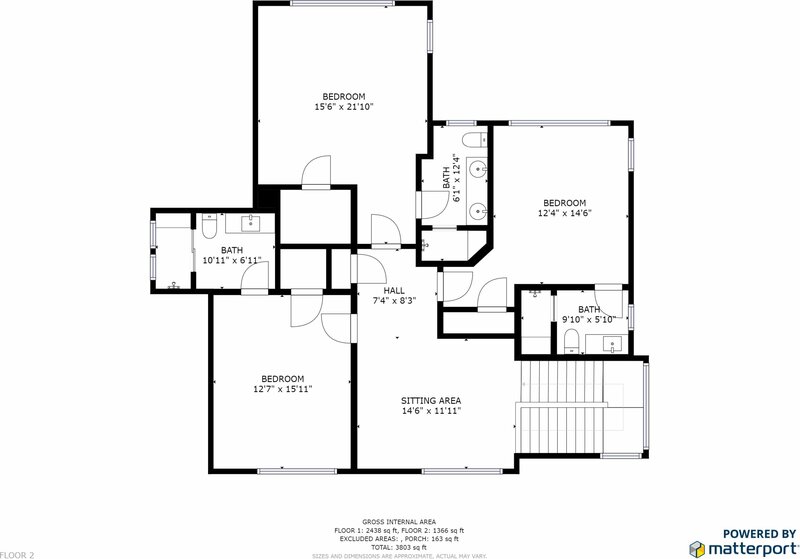 A large walk-in pantry and laundry room with built-in desk are located off the kitchen. 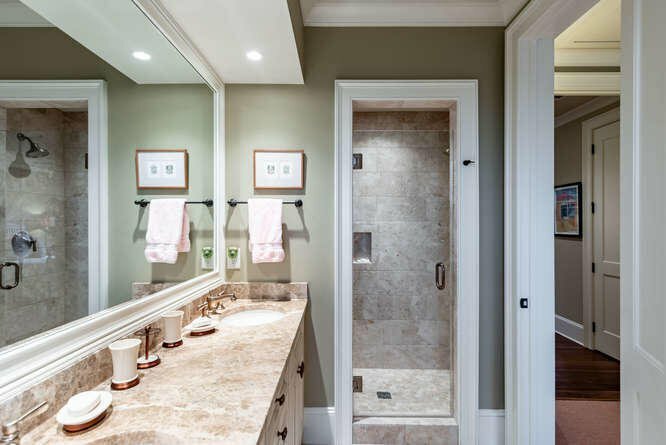 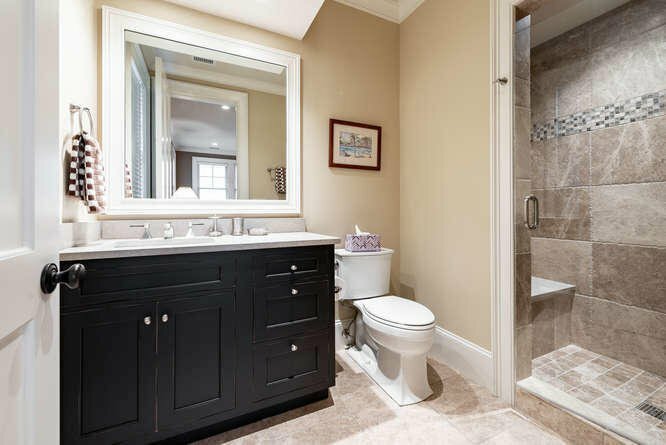 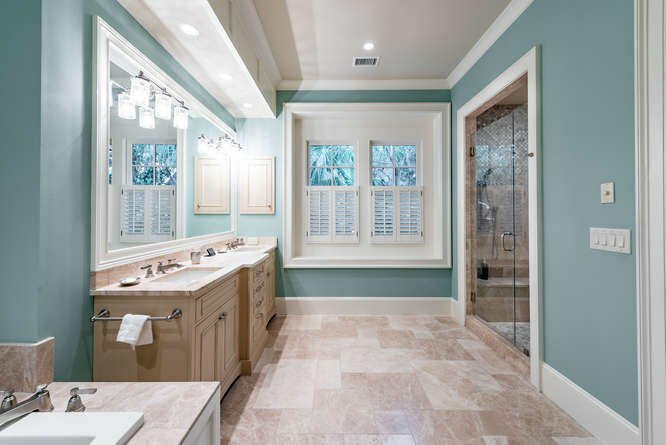 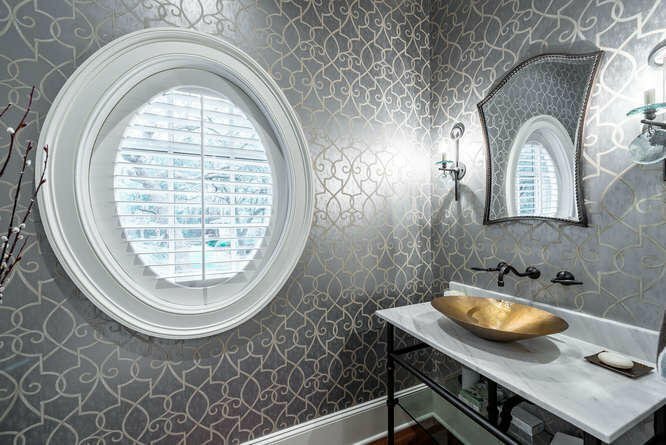 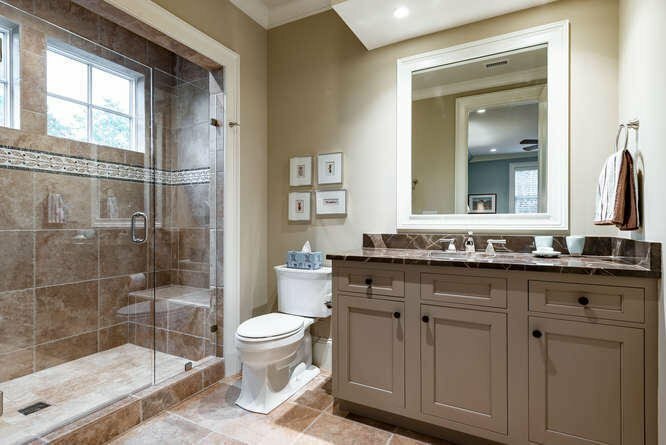 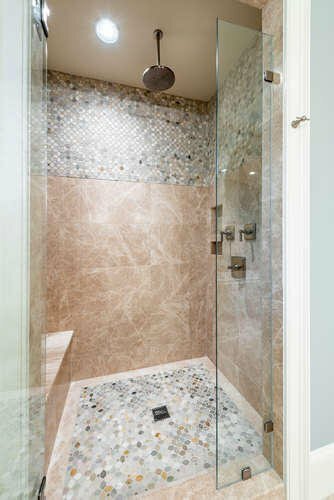 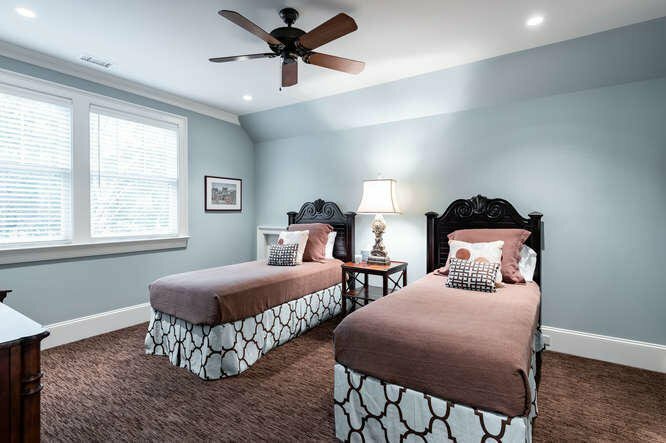 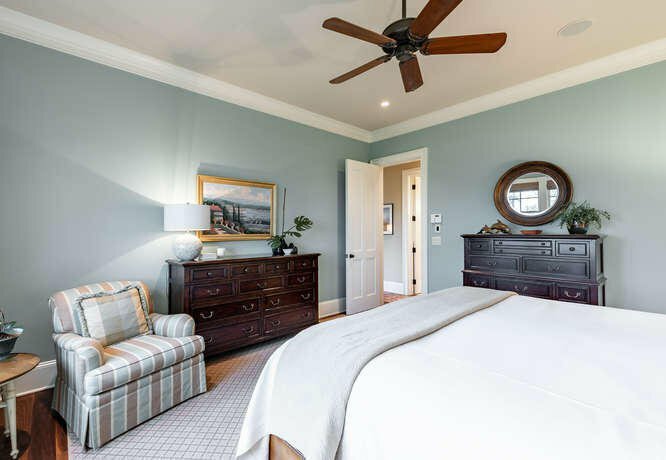 Situated down its own private hallway is the master suite which includes a room-sized closet, personal living area with built-in shelving, and spacious master bathroom with his and her sinks, walk-in glass enclosed shower with bench, and soaking tub. 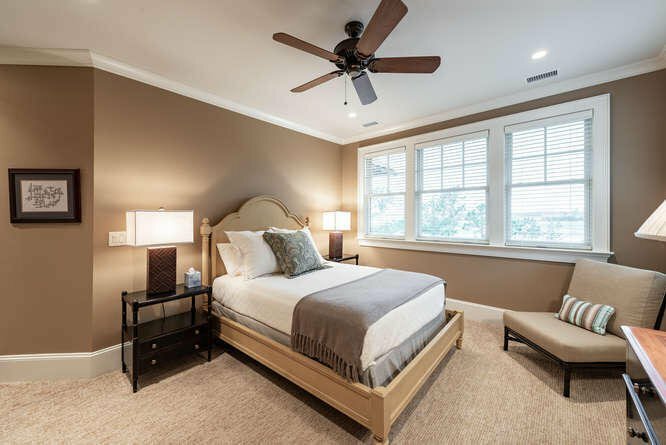 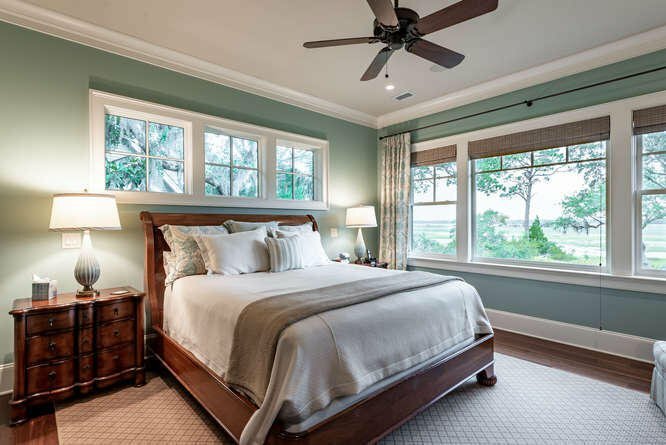 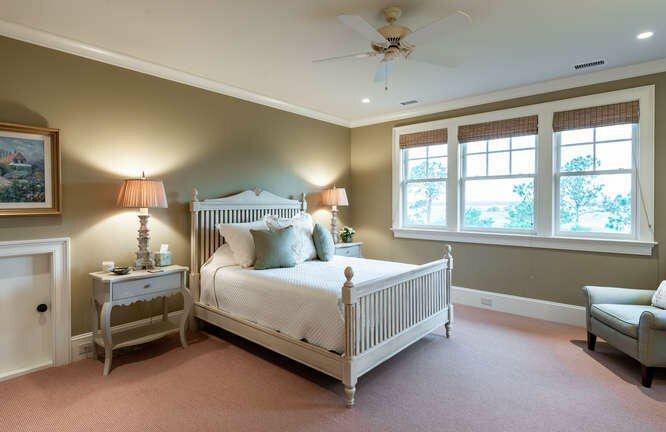 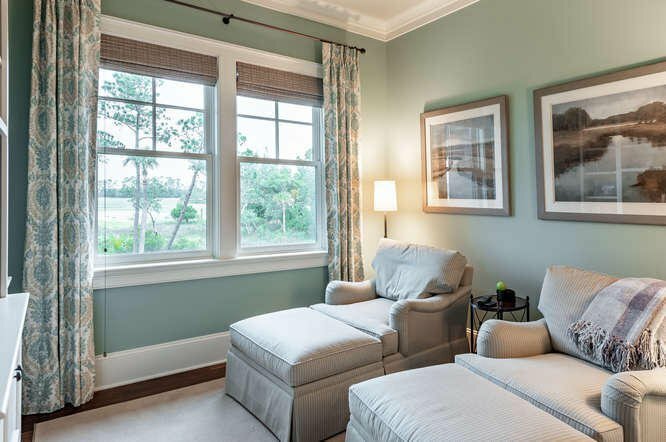 The large master bedroom offers multiple windows to showcase the marsh view. 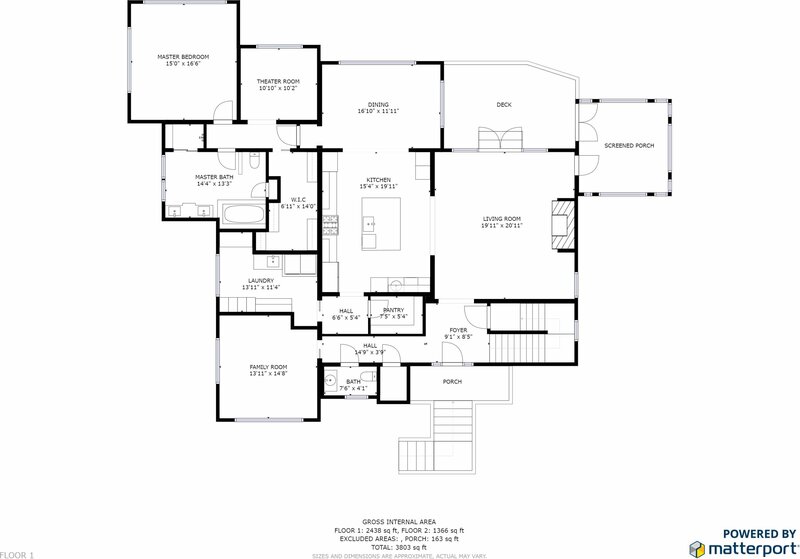 A den/office and powder room complete the first floor. 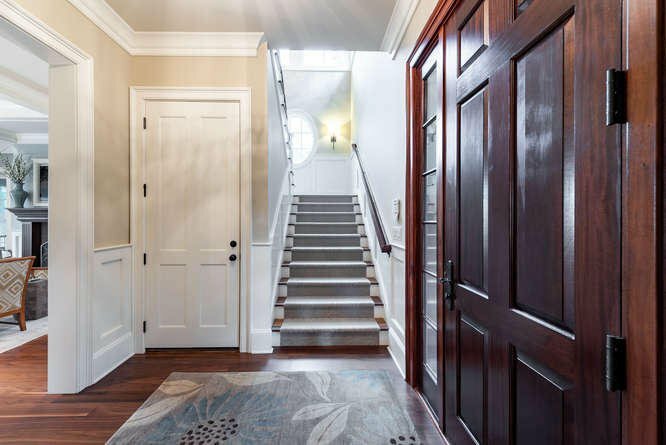 Ascend the stairs to the second-floor sitting area with a mounted television before entering the three remaining bedrooms. 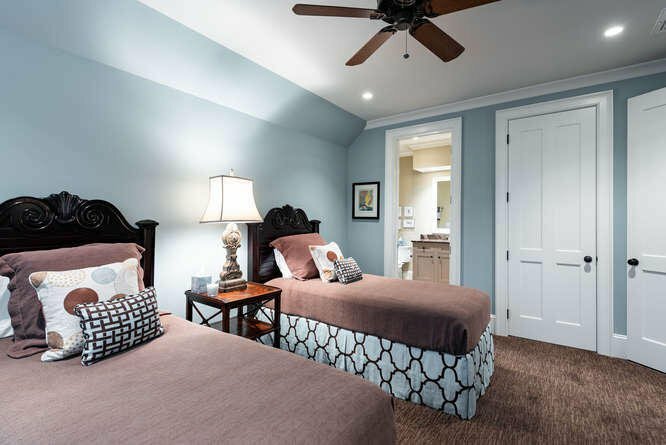 Each bedroom is a great size and features its own private bathroom with a glass enclosed walk-in shower. 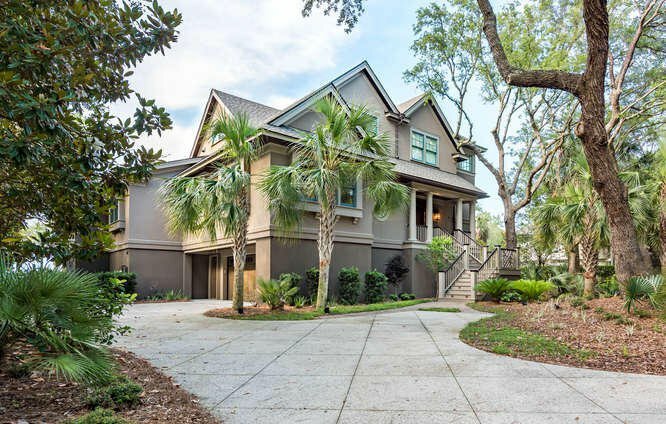 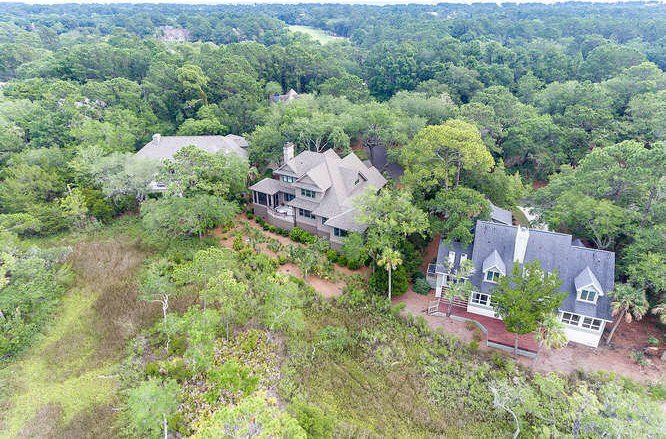 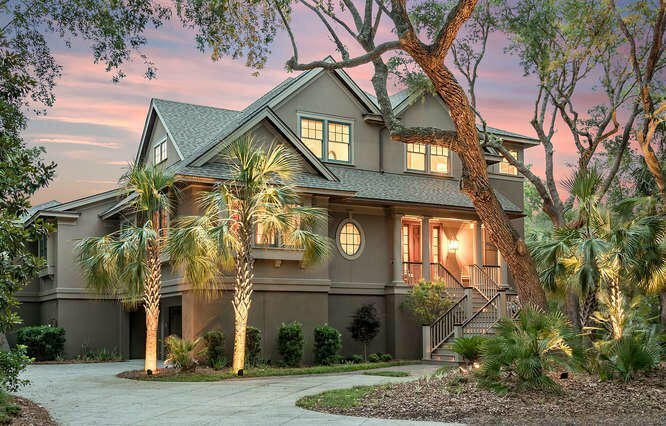 This home comes with a Kiawah Island Club Golf Membership Opportunity. 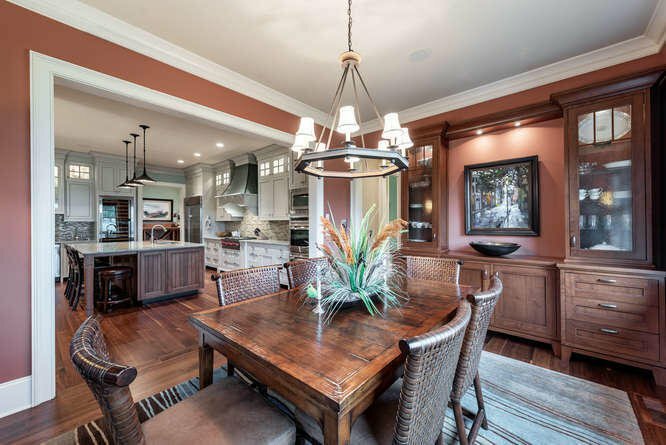 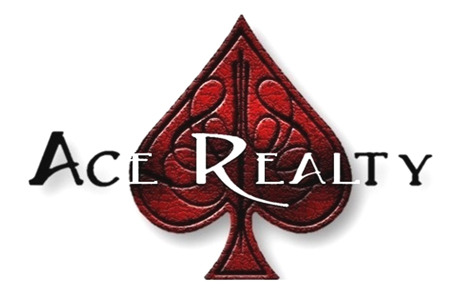 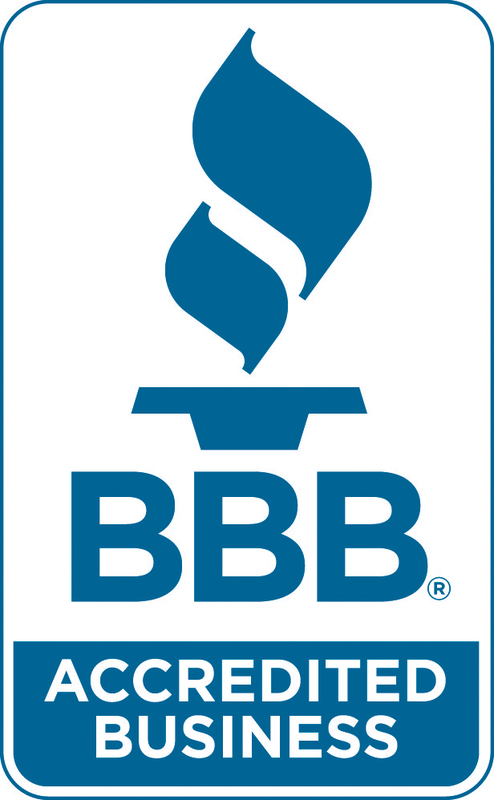 Sold furnished less some exclusions.